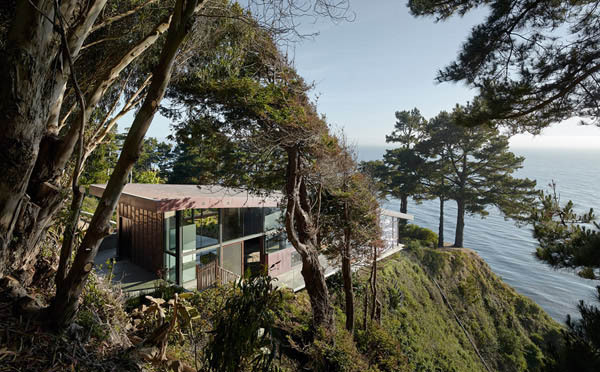 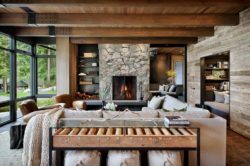 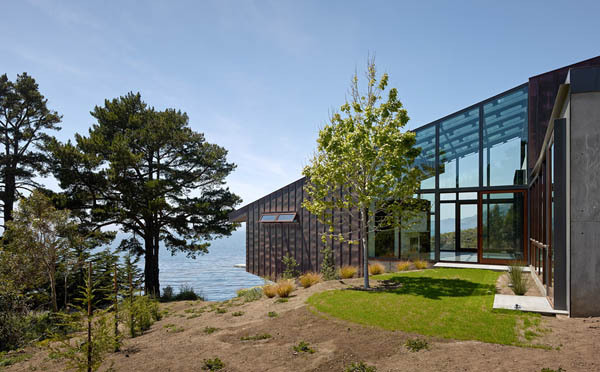 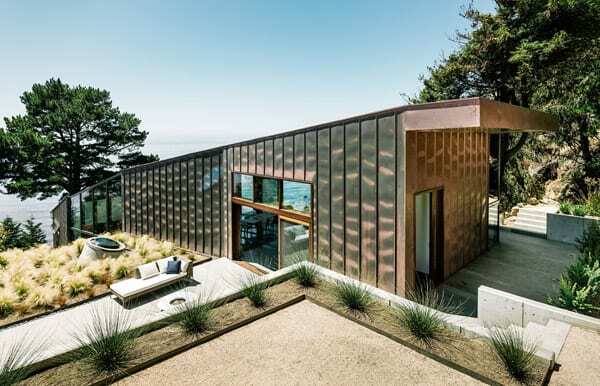 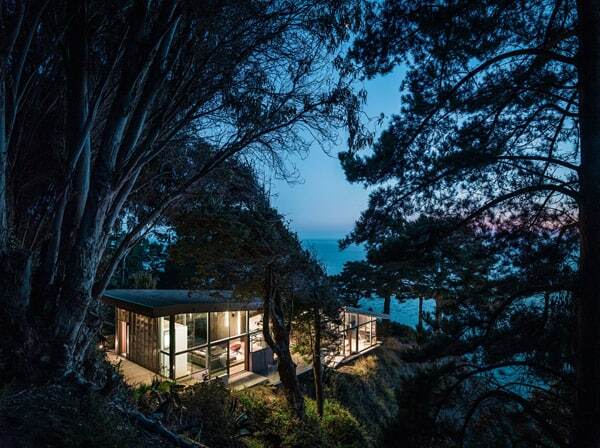 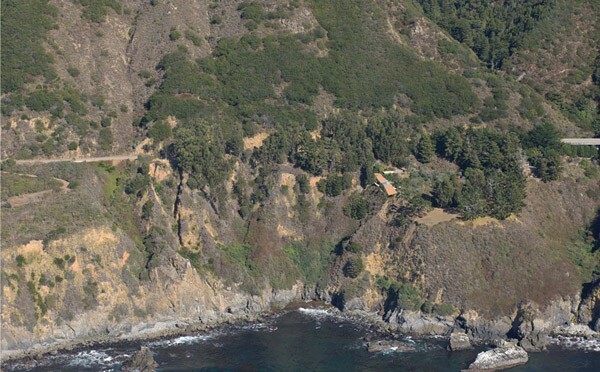 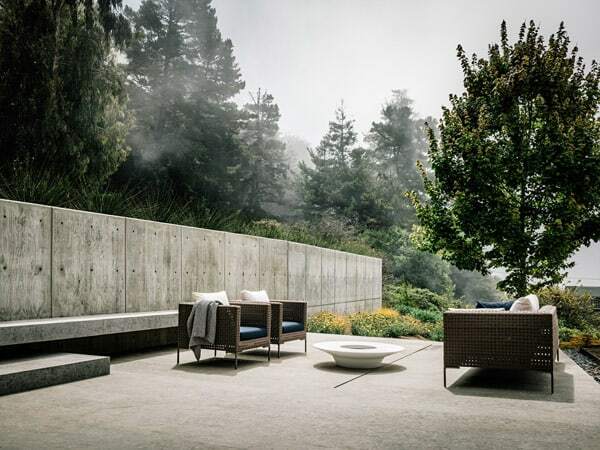 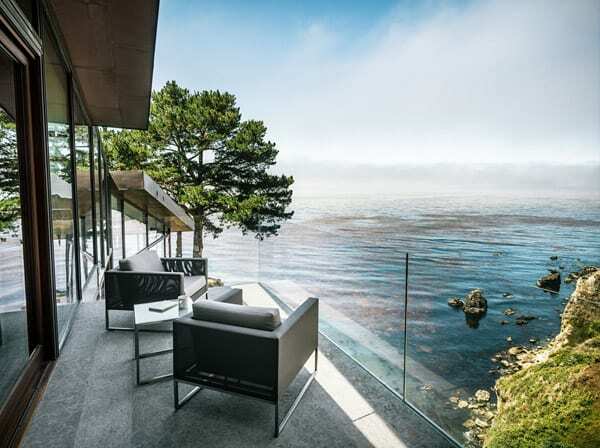 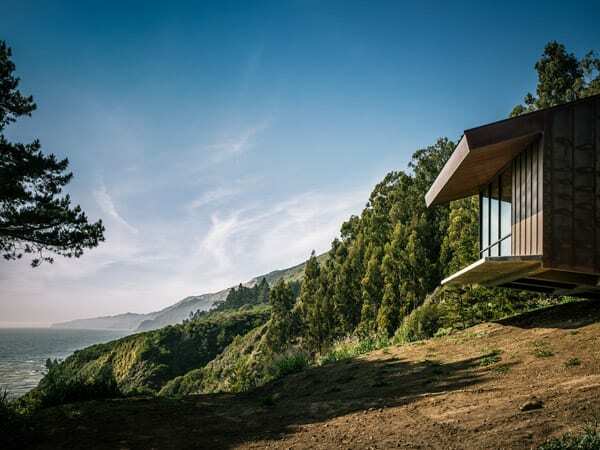 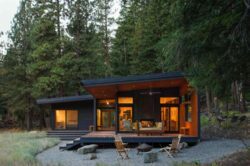 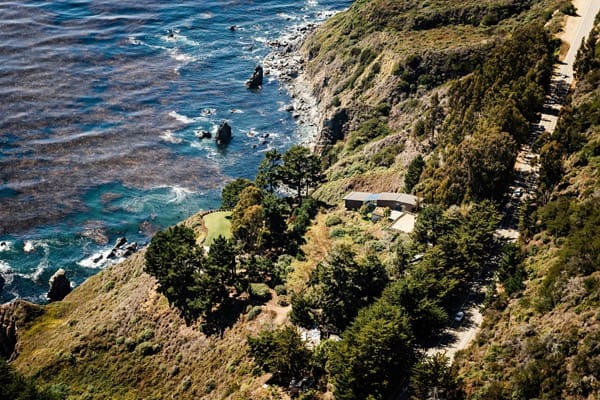 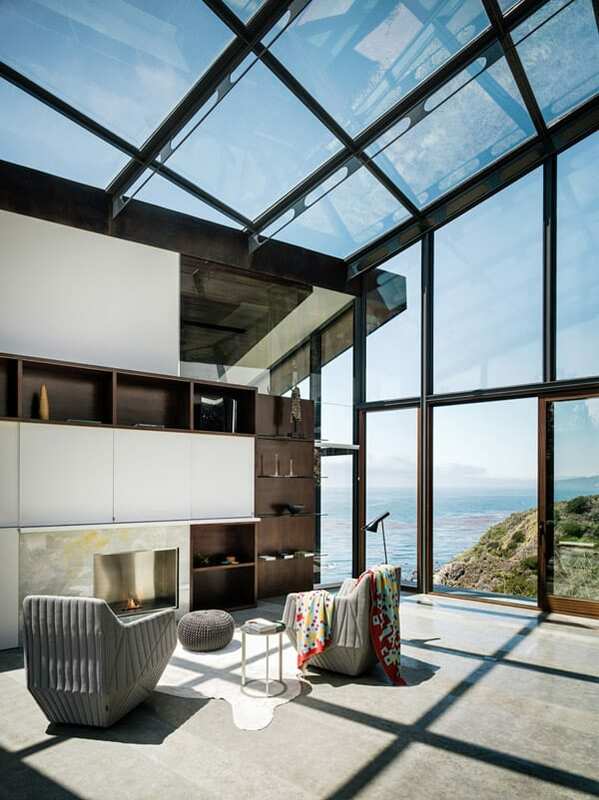 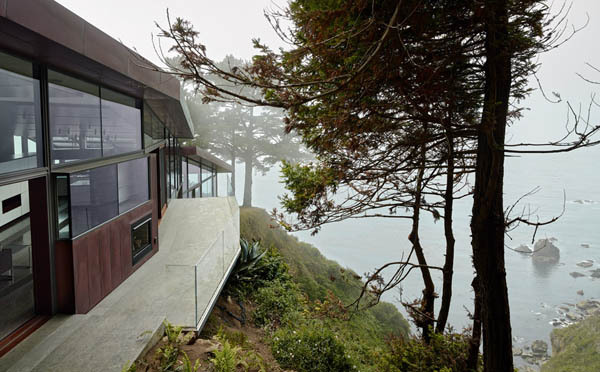 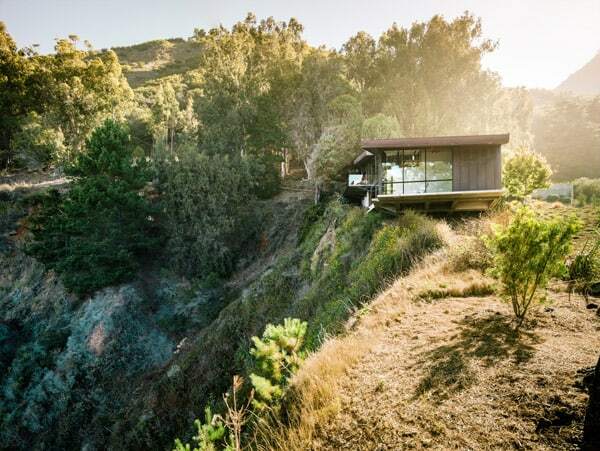 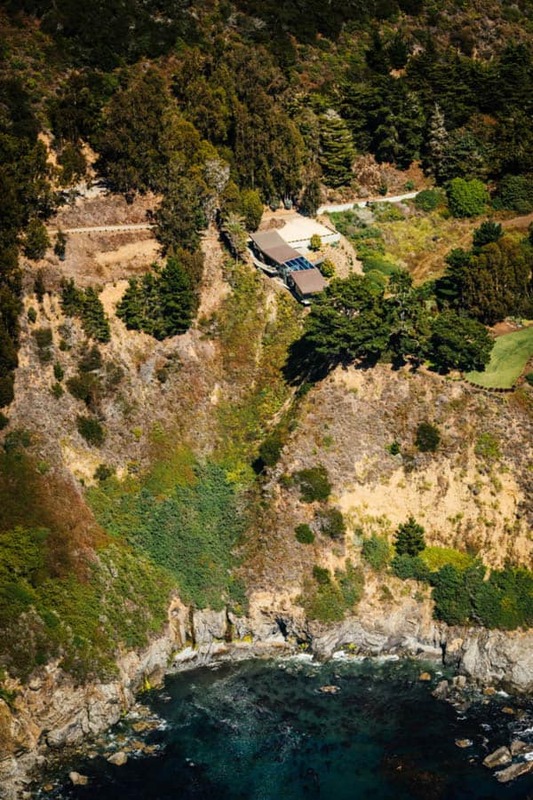 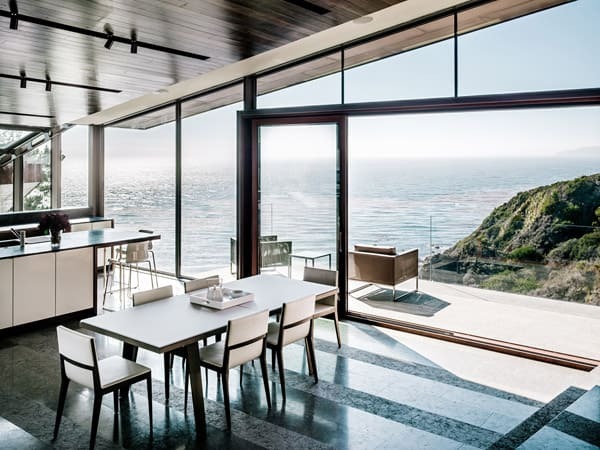 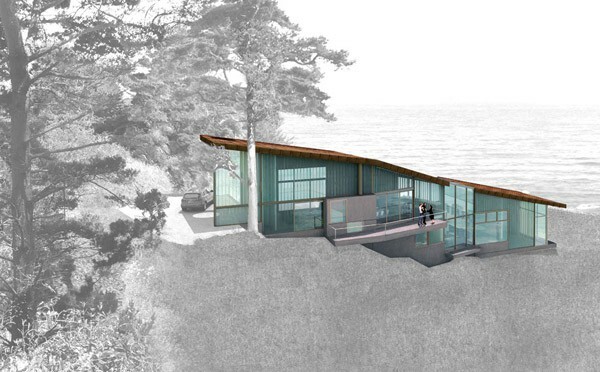 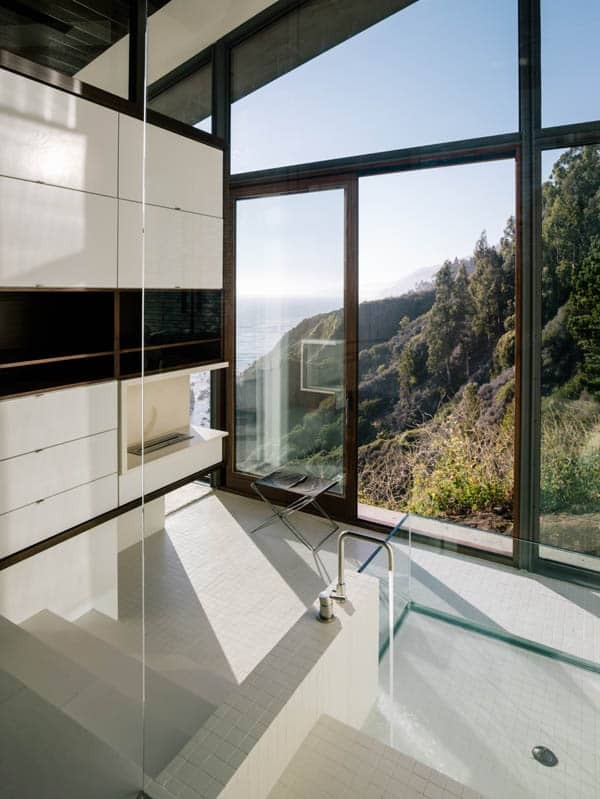 Buck Creek House has been designed as a vacation retreat by Fougeron Architecture, located on Big Sur’s spectacular south coast, anchored in the natural beauty and power of the California landscape. 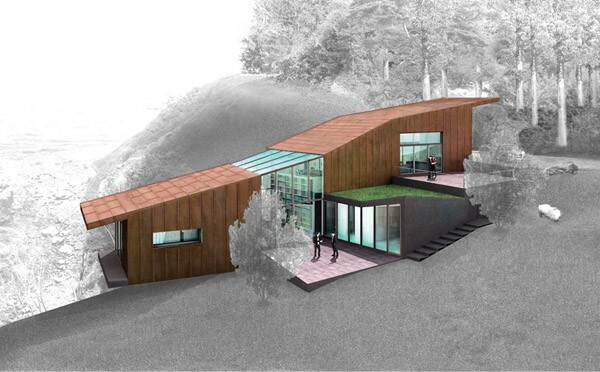 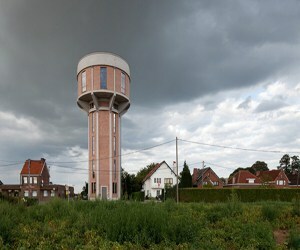 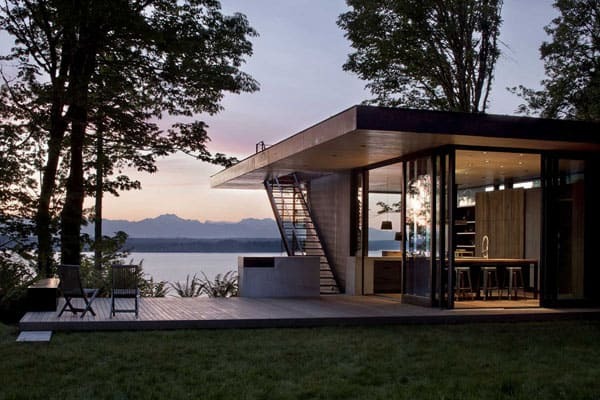 The architects design embeds the building within the land, creating a structure that is inseparable from its context. 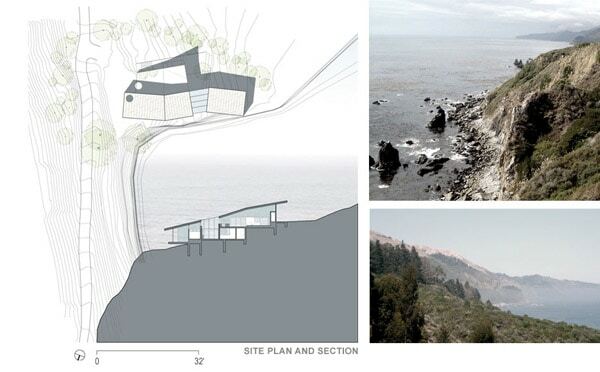 The site, which features a 250-foot drop to the Pacific Ocean along the bluff and toward the west, offers dramatic views. 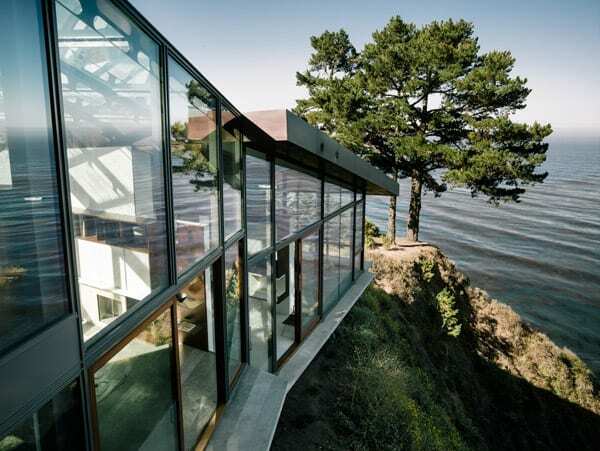 Yet it demands a more complex form than a giant picture window. 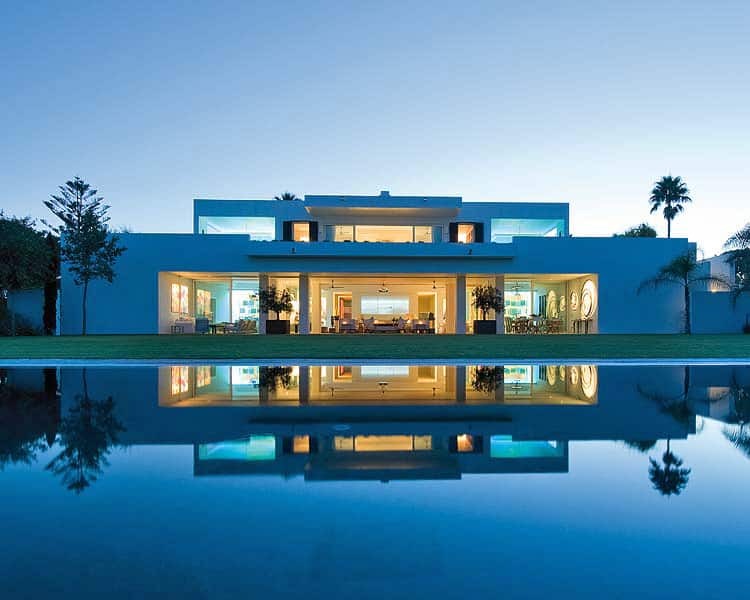 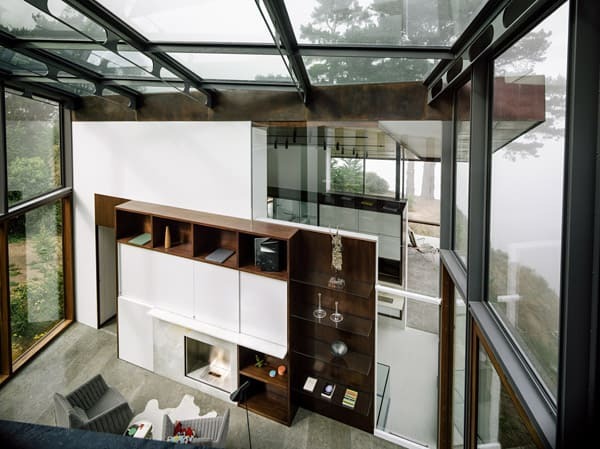 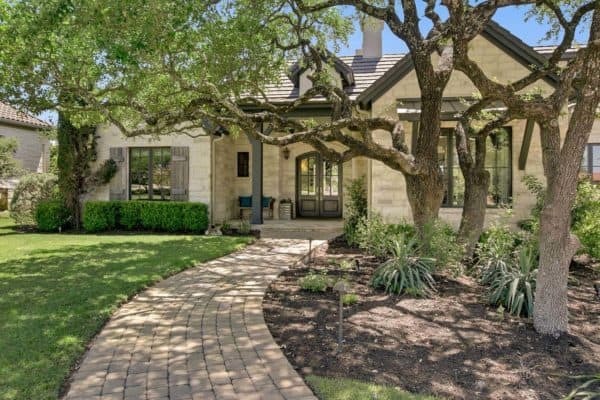 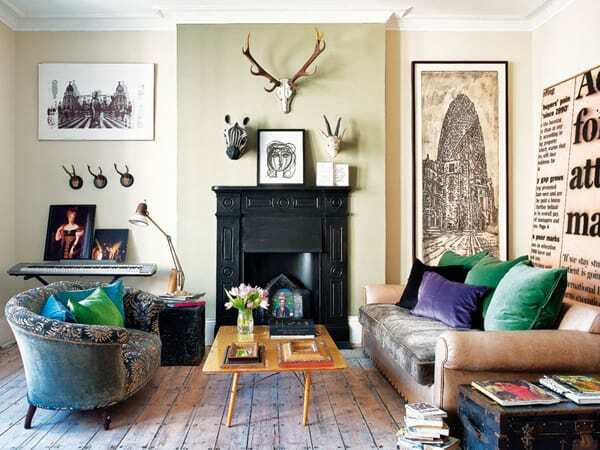 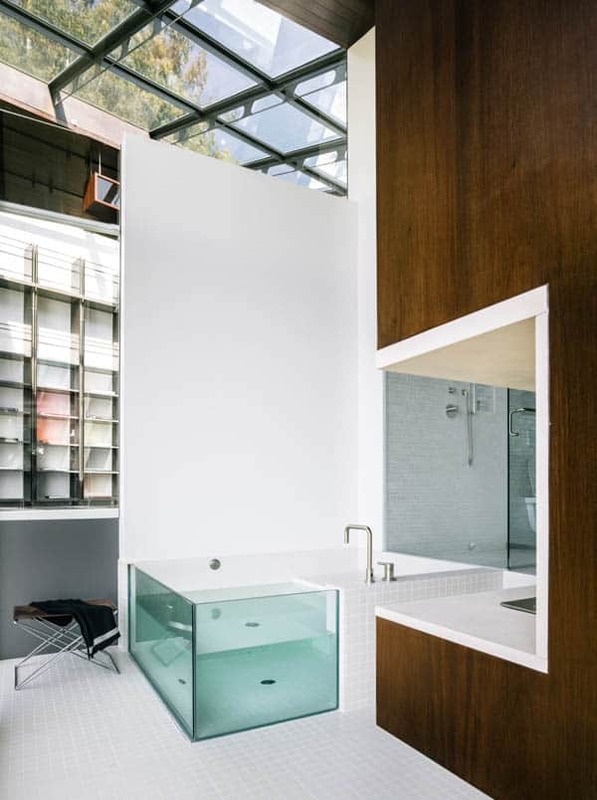 The main body of the three-bedroom house is composed of two rectangular boxes connected by an all-glass library/den. 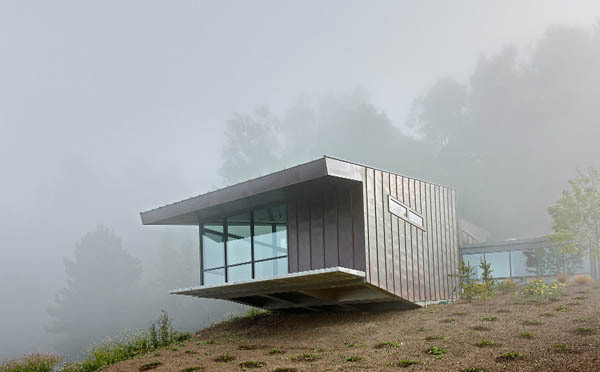 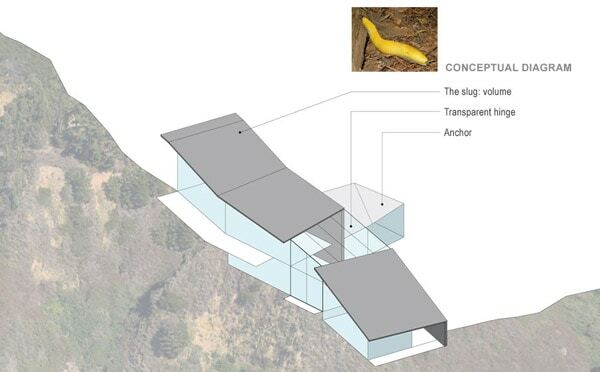 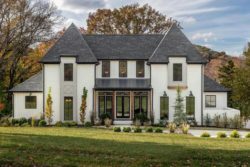 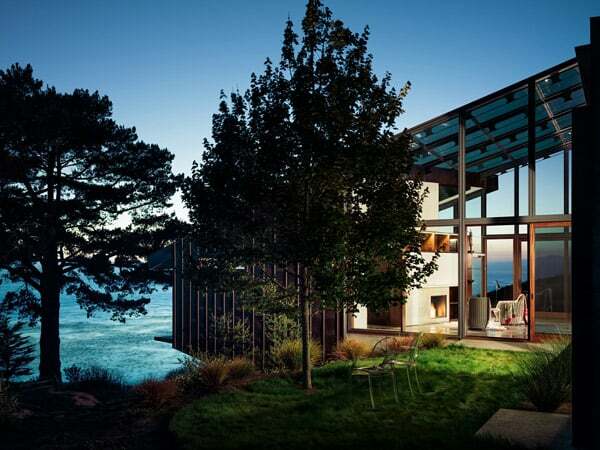 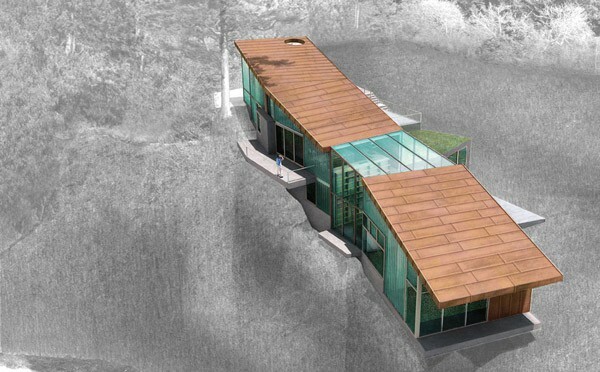 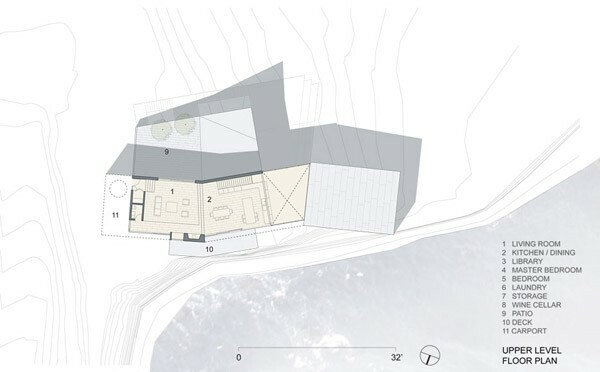 A one-story concrete wing perpendicular to the main volume holds the ground-floor bedrooms and features a green roof; it is the boulder that locks the house to the land. 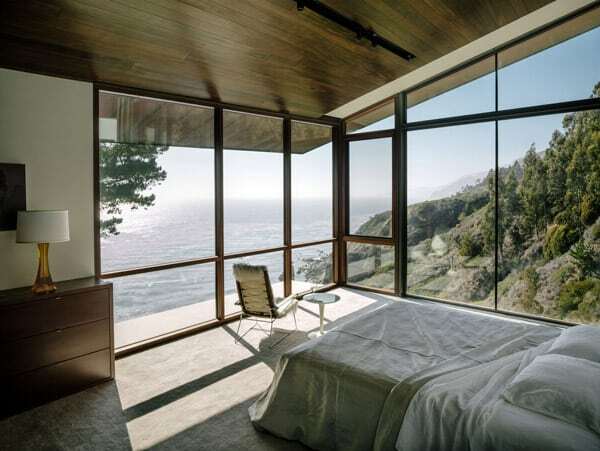 The lower of the two main volumes, a double-cantilevered master bedroom suite, acts as a promontory above the ocean, offering breathtaking views from its floor-to-ceiling windows. 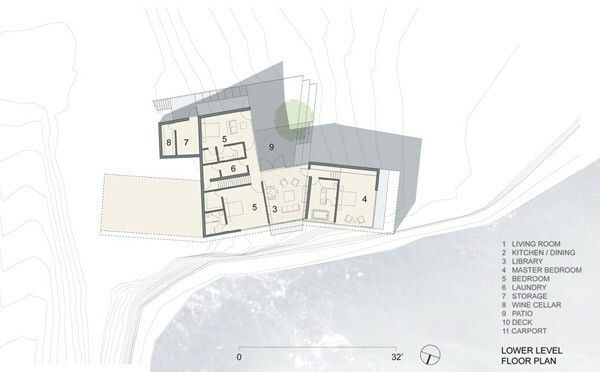 The upper volume is an open-plan space-kitchen, living room, and dining room-with a swooping ceiling, all clad in wood, that follows the shape of the land.